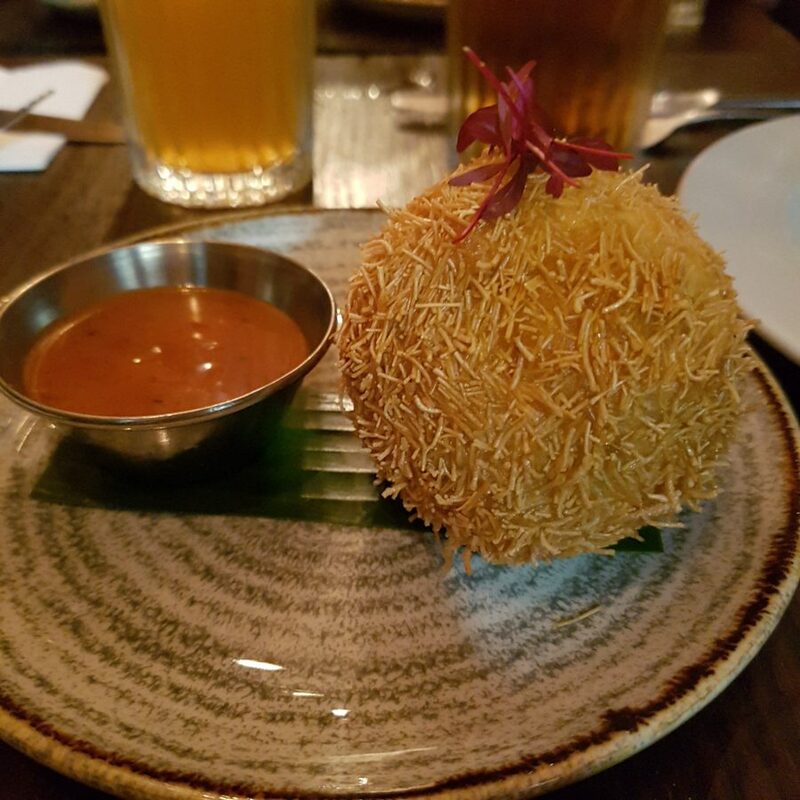 Ever since a visit to Kricket in Brixton, I’ve fallen in love with ‘Indian small plates’ – I could easily say I tried some of the best Indian food I’ve ever eaten. It’s hard then not to compare Gunpowder to Kricket. Both are tiny, both serve Indian small plates and both are very popular. Due to the size, unless you’re super early, the wait can be a little epic. We popped our name down on the list and went round the corner to som saa for a few beers, making it all far more manageable. 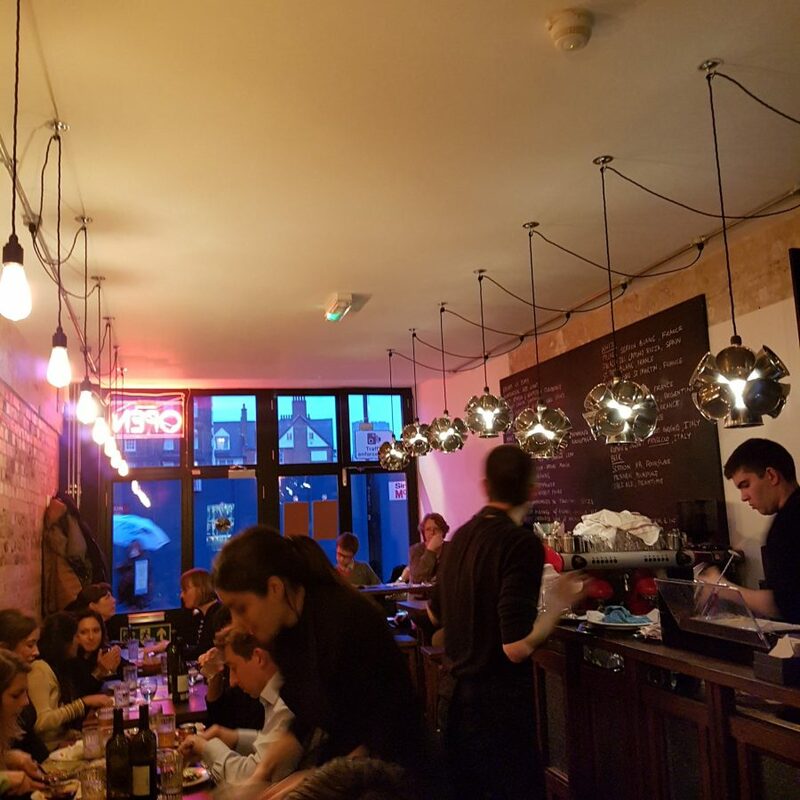 Inside, it’s cramped – the three of us were sat by the constantly opening door to the kitchen at a table for two. This is a common occurrence these days which is SO annoying as there isn’t then room for all the plates, which come out as and when they are ready. Spicy venison and vermicelli doughnut (£4.50) had a crunchy outside but inside, the venison mince fell apart – it wasn’t the easiest thing to eat. 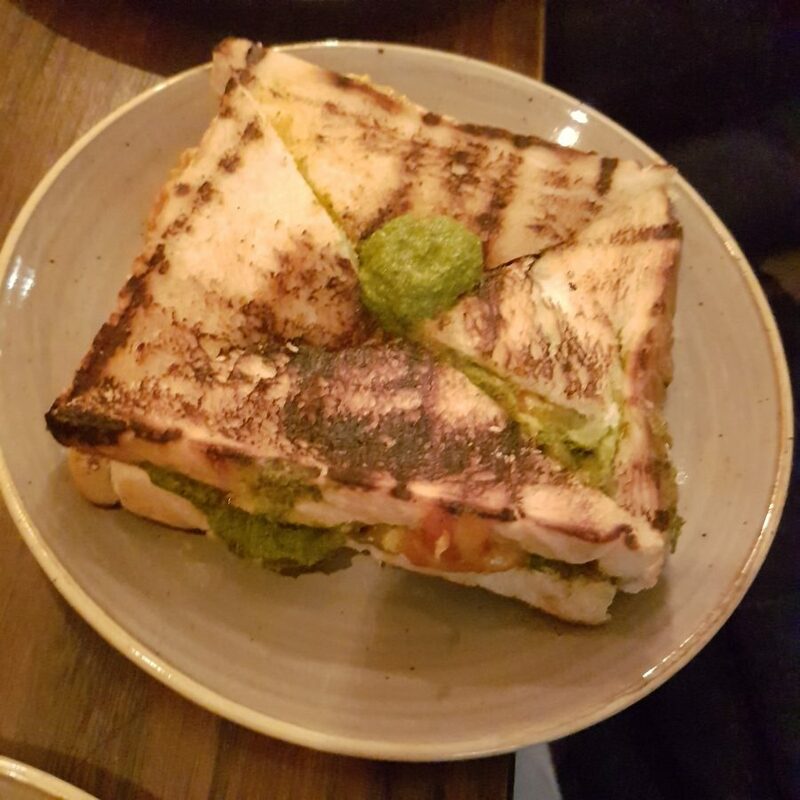 The chutney cheese sandwich (£4.50) was no looker – I’ve seen sexier looking toasties on the Eurostar – but the flavour was bang on. 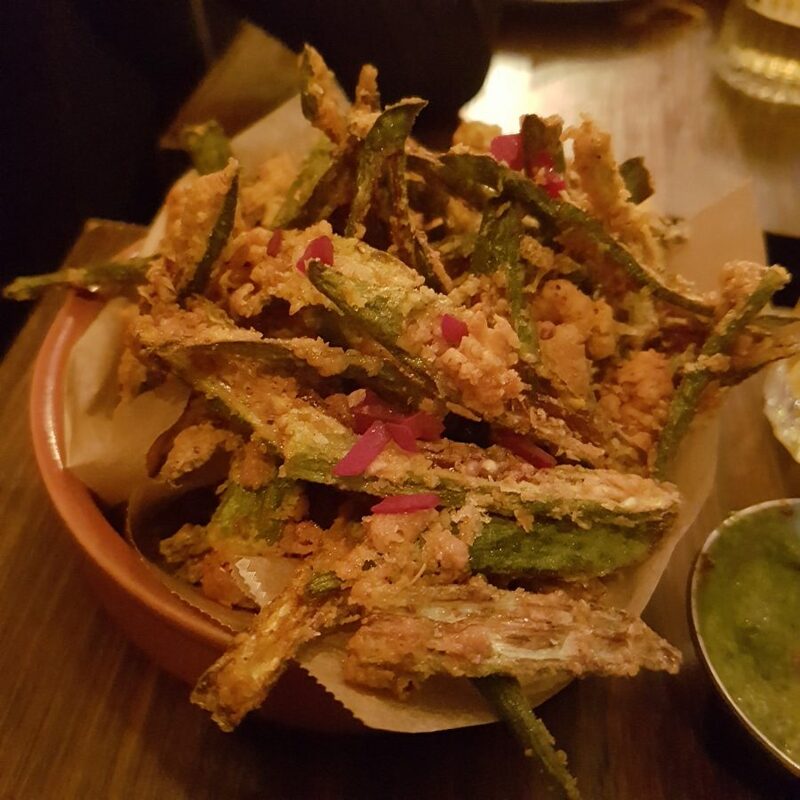 Okra fries (£4.50) are so good you’ll want to order your own portion. 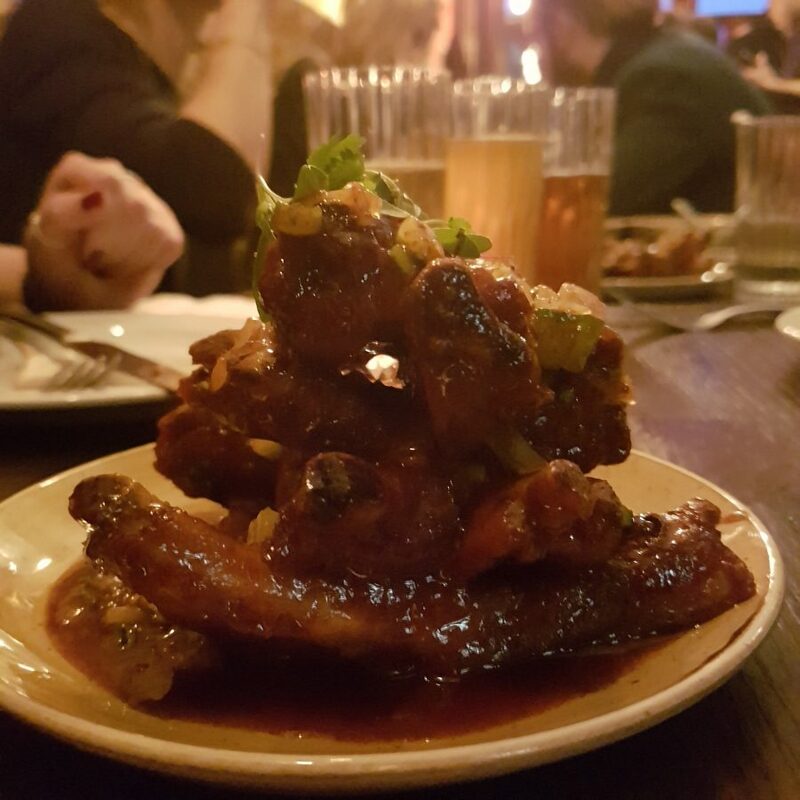 The Nagaland house crispy pork ribs (£8) was probably my favourite dish – the meat being both firm yet tender and the spicing being super strong. 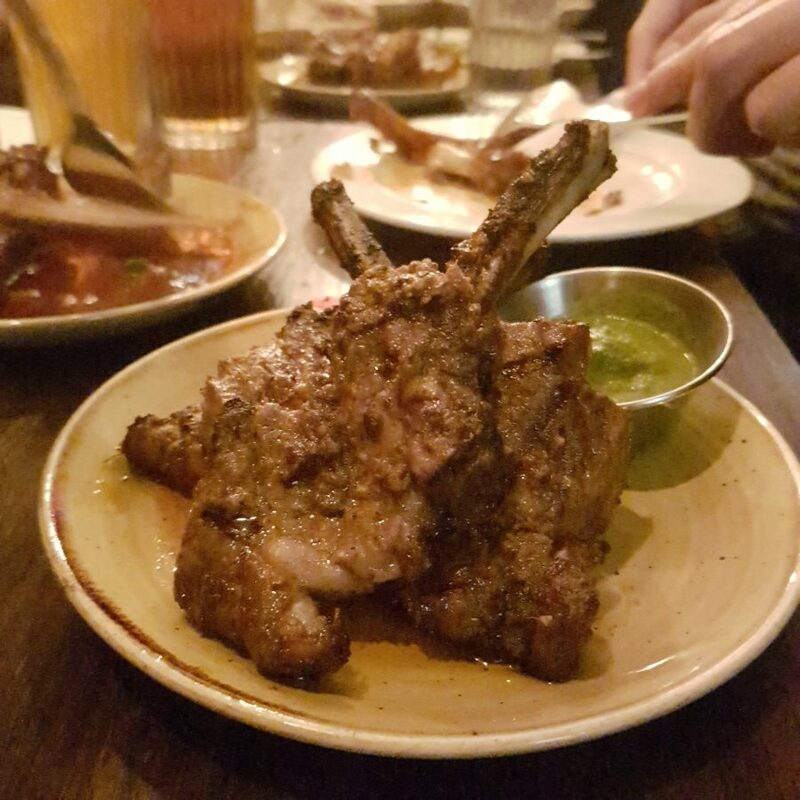 “Maa’s Kashmiri lamb chops” (£5 per piece) were good but the fat needed to be cooked for longer as it was a touch blobby. 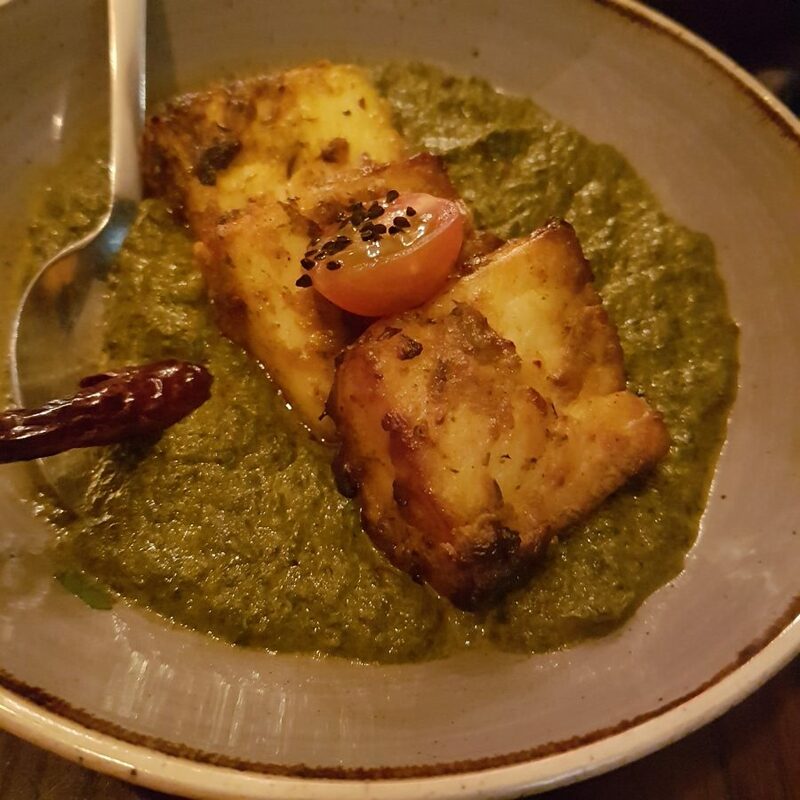 Saag with tandoori paneer (£11) saw generous chunks of perfectly cooked paneer (that’s Indian cheese) atop a creamy spinach which was most enjoyable. 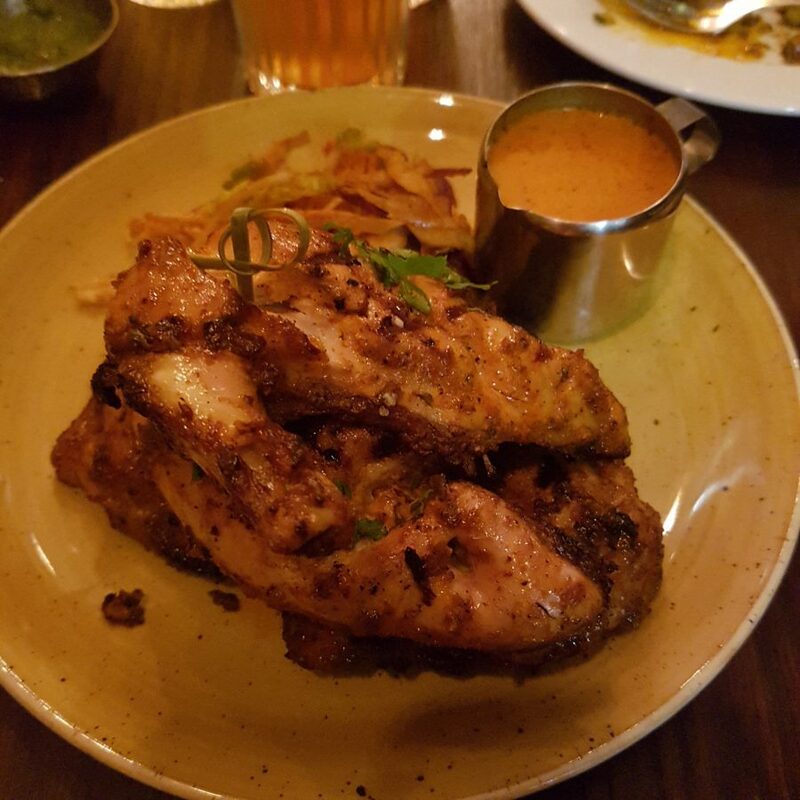 Baby chicken chargrilled in tandoori spices (£16 for a whole one) like most of the dishes before it, was very pleasant indeed. As they were so busy, they had run out of desserts which was a shame. 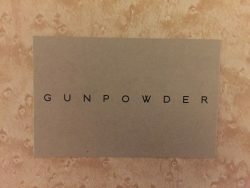 I liked Gunpowder, it was sweet and charming but I was hoping for a little more excitement from it all. I found myself comparing it constantly to Kricket where the dishes, equally as simple, reach heights you didn’t think were possible. 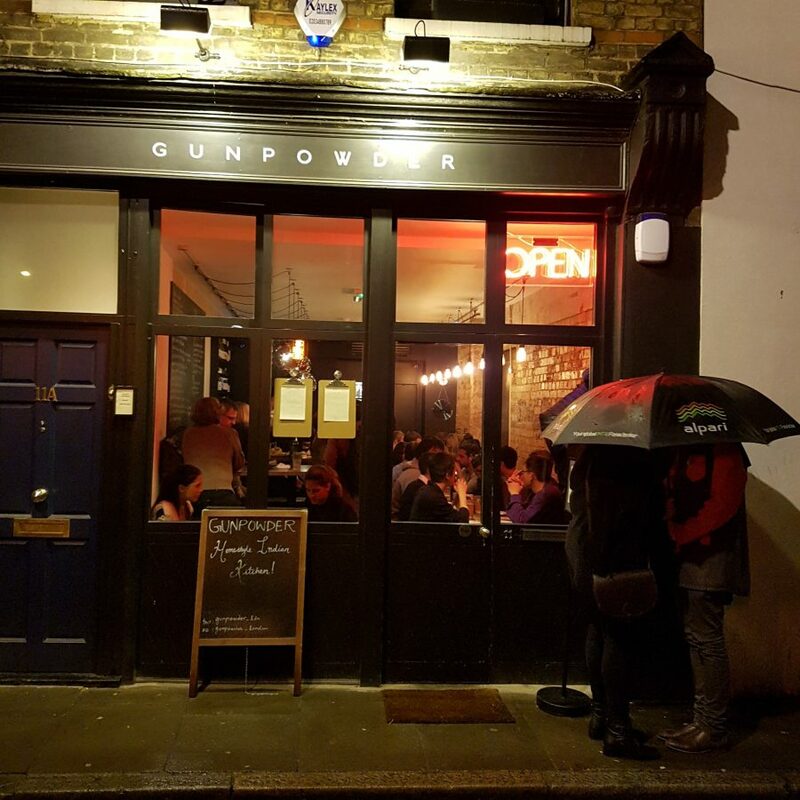 The food at Gunpowder was more pleasant than wow.